Welcome to your hometown school. We are located in central Hendricks County just west of Indianapolis. With no district lines to worry about, students attend the same school with their classmates regardless of where they live. This means the chance for lifelong friendships. Here in Danville, we know the importance of community. Danville Community School Corporation is proud to be just one part of what makes Danville a great place to live! #TheDanvilleDifference is more than just a school motto, because it takes a village to raise a Warrior! This free event will be held June 17-20. 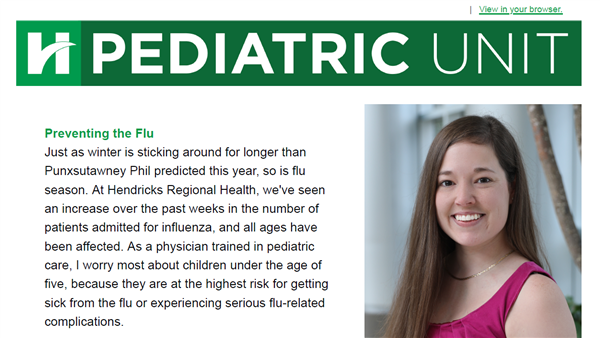 Your monthly update from Hendricks Regional Health's Pediatric Unit. 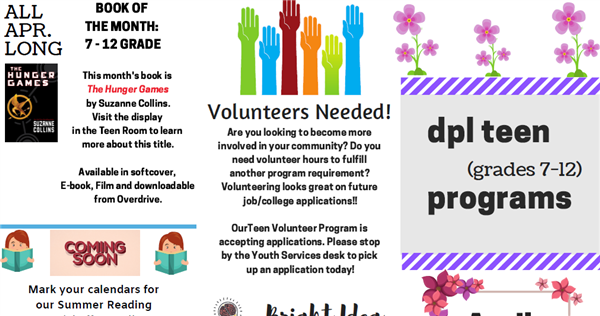 Join "The Danville Difference" team! 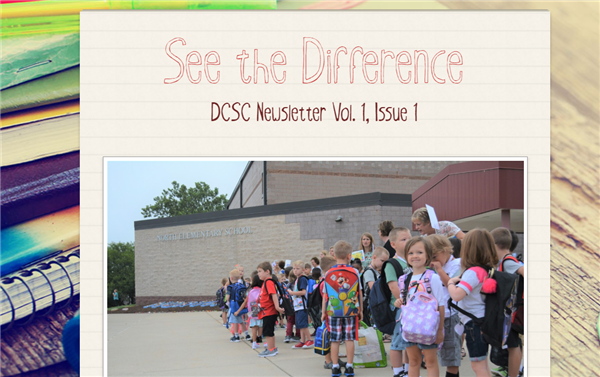 Sign up for our DCSC newsletter! April events at the Danville Public Library. 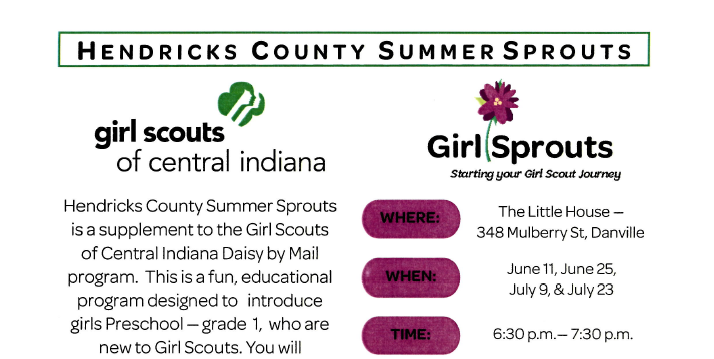 Girl Sprouts is for pre-k to 1st grade girls.